Why buy local when you can save with our faux masonry sign monuments? Our stone entrance sign monuments can match any masonry pattern from a digital photo, or let our designers do what looks best! We were recently challenged with a project for a residential entrance sign monument design. 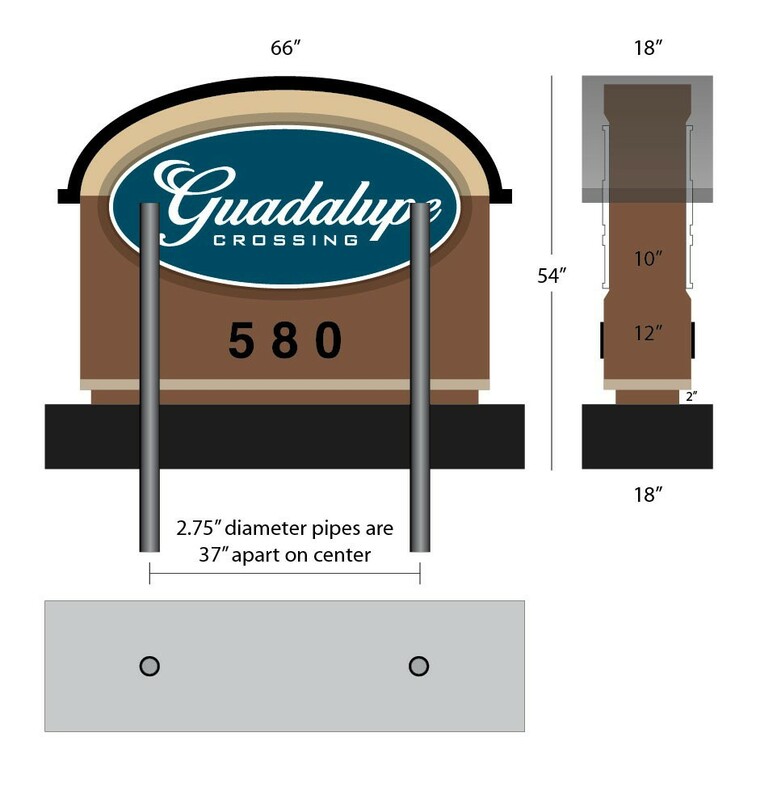 The property developer requested the sign design to incorporate 3-D graphics panel with embossed street address numbers. All of these elements were to be applied to a ‘funky’ monument that included a faux slab stone base, leather patterned background with an arched decorative top. This custom sign monument project also required a ability to mount to a pair of existing steel pols that were on site (from the outdated sign monument) at specific diameters and distance apart. As you can see, the final faux stone entrance sign monument results look exactly as the initial sign design. The unit arrived fully assembled, ready to slide down the existing steel poles for a perfect fit. If you are concerned about faux stone entrance sign monuments, don’t be. This is the exact same product used by national theme parks such as Disney and Six Flags, both of which are customers of our work. We also make commercial grade storefronts and architectural elements for fast food franchises using our products. We welcome any challenge in stone entrance sign monuments for any scale project, and can produce anything you can imagine!We can integrate lighting effects and even electronic LED massage boards that are controlled by wireless on a laptop. Please use our online contact form to start your next sign project. We look forward to working with you! 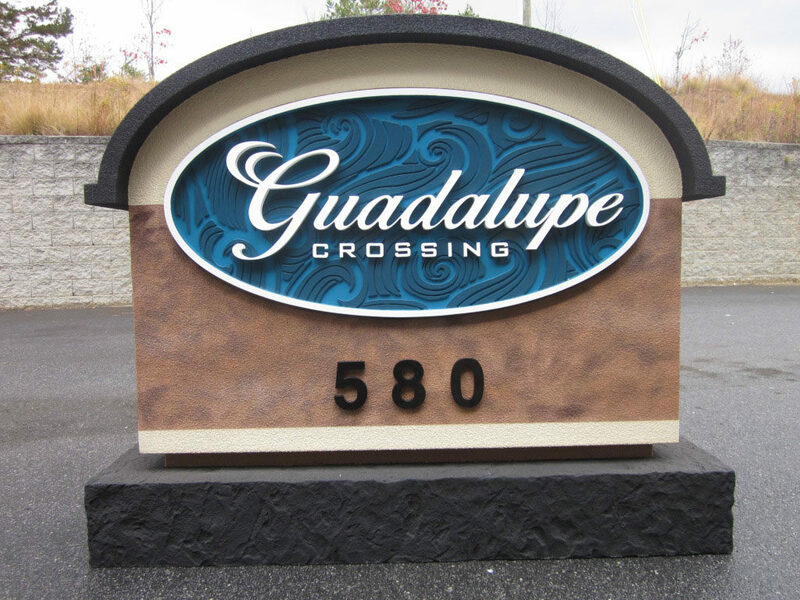 This entry was posted in Completed Sign Projects, Faux Masonry, Monument Signs, Residential Signs, Sign Design by BSM Staff. Bookmark the permalink.